Wow do I love that label on the CPS card! Great use of the CPS sketch too. GORGEOUS cards !!! I LOVE them !!! WOW!!! Your cards are stunning!!! TFS!! These are both just beautiful. I love your color combinations. absolutely gorgeous cards!! i don't want to miss out on your gorgeous creative outlet, but i do hope your stress level decreases for you. Great cards. I like them! Both of these cards are just gorgeous! 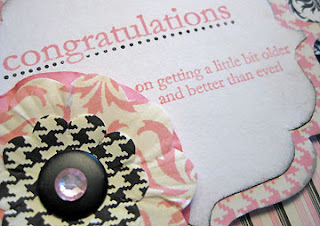 I love the papers you have used on both of them! Great job with CPS 103 and Kazan's sketch! 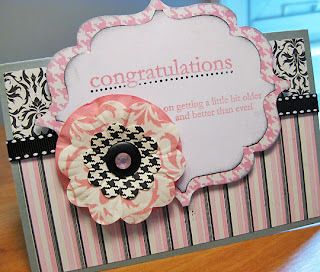 Your cards are gorgeous, especially the pink, black and white one. I must look out for that paper!